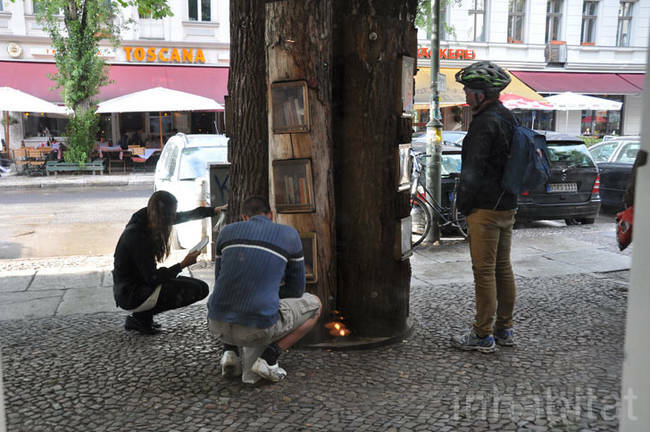 Amazing Book Exchange Inside Trees In Germany! 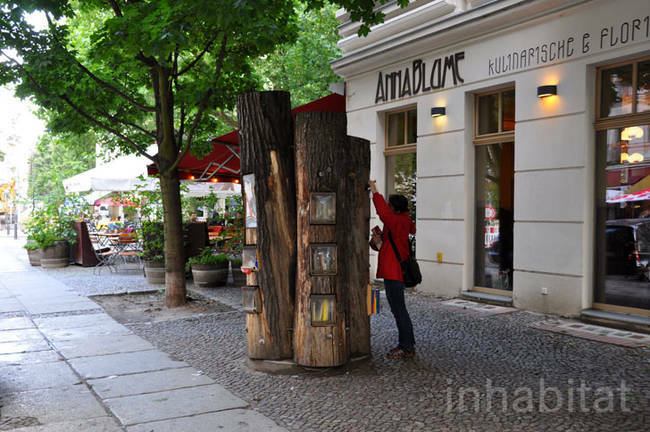 There’s nothing more satisfying than picking up a good book and the inhabitants of this neighborhood in Berlin are absolutely free to do it in the street. 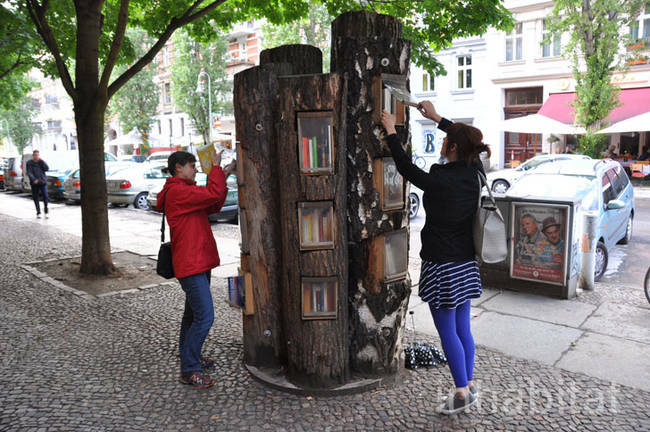 This shared exchange of books inside a tree gives German inhabitants the chance to choose whichever book they like and take it. 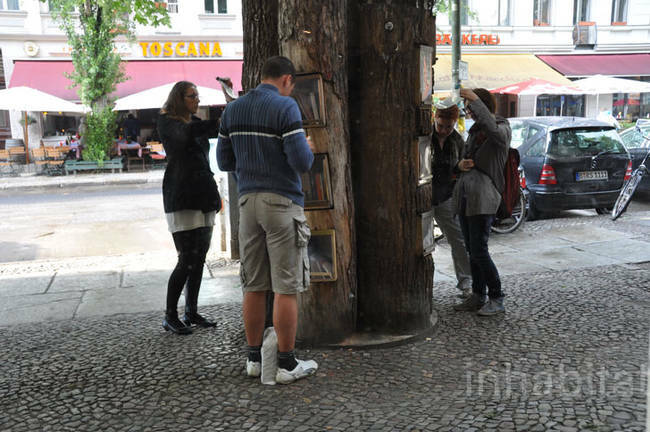 This unique cluster of trees is called The Berlin Book Forest. 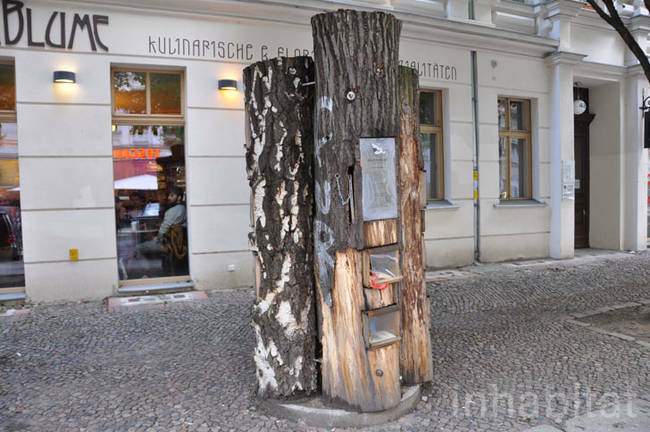 This Book Forest is used as a free exchange of books for residents in the area. Made of fallen trees, it has been built to make it look like a group of trees in the forest. 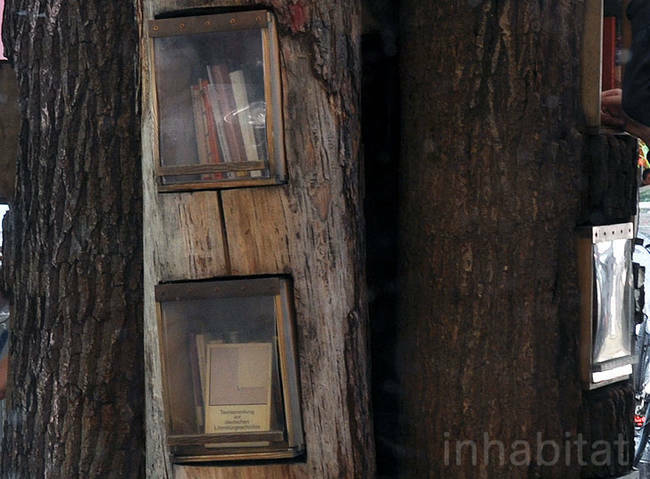 Each tree has some shelves with plastic covers to protect the books from bad weather. 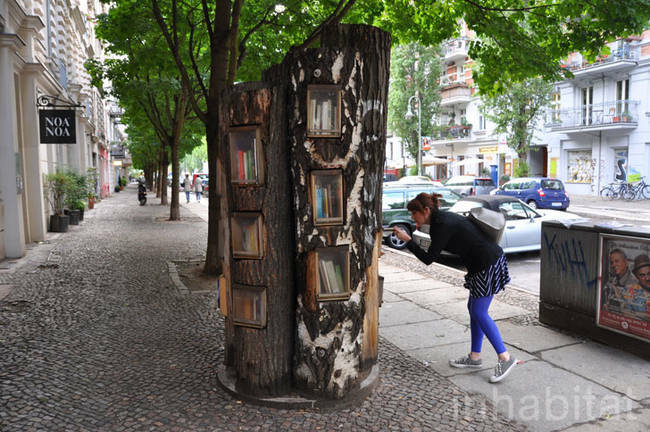 The Berlin Book Forest contains a variety of books both in English and in German, ranging from children’s literature to contemporary fiction. The main purpose is to encourage literacy in the area. It was originally supposed to remain in its place from 2006 to 2008, but it became so popular that it still stands today. It’s a great idea to encourage people into reading and sharing.